He has always been Jesus. But when did He assume the title “Christ”? Contrary to what some may assume, Christ is not Jesus’ last name. It is in fact a title which means “anointed one” in Greek, and is the Hebrew equivalent of “messiah”. 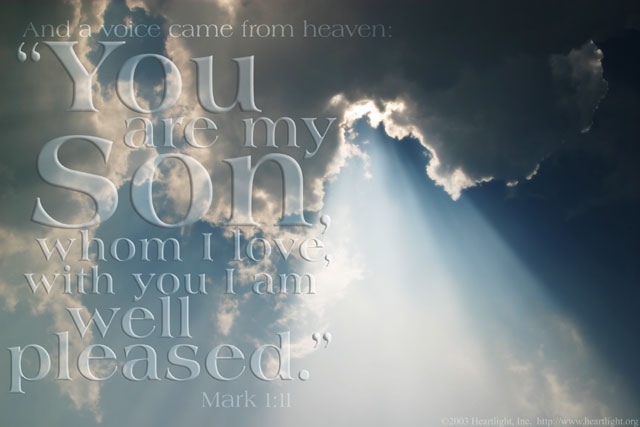 While Jesus had been chosen to be the Messiah from the foundation of the world. It’s like someone who has been hired for a position but has not started work. Let’s look at the biblical narrative to see what we can discover. Then Jesus came from Galilee to the Jordan to John, to be baptized by him. John would have prevented him, saying, “I need to be baptized by you, and do you come to me?” But Jesus answered him, “Let it be so now, for thus it is fitting for us to fulfill all righteousness.” Then he consented. So Jesus insists on being baptized, but not for repentance, for He has to sin. What was needed was for Jesus to begin His messianic ministry. Up until this time, He was growing up “And Jesus increased in wisdom and in stature and in favor with God and man. (Luke 2:52 ESV)”. His baptism was the point at which he offered himself to God. It was a point of reference in his life, where His life as a carpenter ended and His true mission began. As Jesus came up out of the water, the heavens were opened to Him. At this point He has full recollection of His existence in heaven with the Father and all that His mission would entail. How significant that the act that began his ministry would prefigure the end of his earthly mission as he was buried in the watery grave and rose again to a new type of life.